The anti-union sentiment spreading across this nation seemed to take hold in the U.S. Supreme Court, which recently ruled workers can decide if they want to pay dues in a unionized workforce in the Janus vs. AFSCME case. Yet “free riders” enjoy better working conditions, hours, wages and benefits thanks to the same union they refuse to support. Unions exist to protect employees’ rights to fair working conditions, reasonable hours and wages. When MAP, MAPE and MAFF members band together to advance their concerns with Employers through collective bargaining, positive changes occur. In fact, unions have been so successful at the bargaining table that some Employers are working hard to weaken them. The “right-to-work” campaign focused on individuals rights to choose whether to pay dues. When it was implemented in Michigan, proponents wanted workers to believe they were benefitting by having a few extra dollars in their pockets. But free riders not only cost the union money, they cost themselves money in the long run. When you refuse to support the union representing you and your co-workers, it takes away needed funds to protect worker rights, benefits, and jobs. 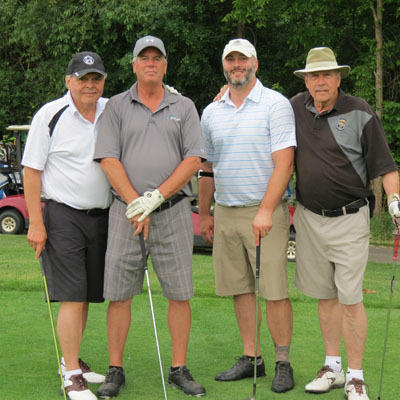 Get your clubs out and join the 29th Annual Carl Parsell Memorial Scholarship Golf Outing Thursday, June 13, 2019 for a fun-filled day on the course complete with refreshments, lunch at the turn and a steak dinner at the end of the round. Golfers must register on or before May 20, 2019 to insure their spot for this Links of Novi outing, which supports The Carl Parsell Memorial Scholarship Fund. At least $5,000 in scholarships will be awarded on behalf of the fund for continued education in 2019. Since the fund's establishment, over $120,000 in scholarships have been awarded. Gifts and prizes worth over $4,000 will be given away for: the first two places, Longest Drive for men and women, Closest to the Pin for men and women, Skins, Las Vegas Hole and raffles. Prize donations are welcome, and all donations are tax deductible. Reservations are accepted on first-come first-serve basis for the 18-hole outing with golf carts provided. The cost is $110 for individuals or $440 for a foursome. We would like to express our sincere appreciation to our sponsors who very graciously supported the golf outing last year with their Golf Hole Sponsorship contributions! We are seeking their continued support this year and that of new sponsors for this very worthy cause. Those wishing to sponsor a hole may do so for $250 by completing the sponsorship form. Click here for more information and to print the registration and sponsorship form, which are due with payment by May 20, 2019. Reservations are accepted on a first-come, first-serve basis. 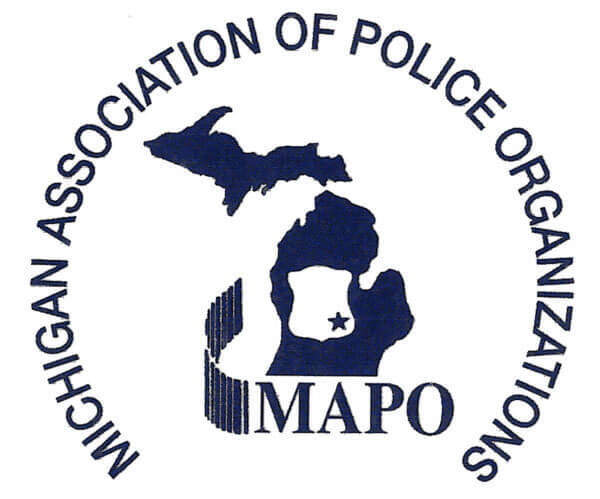 Proceeds from the golf outing are used for the direct funding of the Michigan Association of Police (MAP), Michigan Association of Public Employees (MAPE), and Michigan Association of Fire Fighters (MAFF) Carl Parsell Memorial Scholarship Fund. The fund was established in honor of Carl Parsell, a pioneer of the law enforcement union movement, who passed away in October 1990. For more information, contact the MAP office at (248) 509-7158. In 1962, President John F. Kennedy proclaimed May 15th as National Peace Officers Memorial Day and the calendar week in which May 15th falls, National Police Week. National Police Week pays special recognition to law enforcement officers who have lost their lives in the line of duty for the safety and protection of others. Listed below are events planned at the national level in Washington D.C. and Michigan's Peace Officers' Candlelight Memorial Service. Many events will take place before the official dates of Police Week in 2019. NATIONAL POLICE WEEK May 12-18, 2019 — WASHINGTON D.C.
Tuesday, May 7: 25th Annual Blue Mass — 12:10 p.m. at St. Patrick Catholic Church, 619 Tenth Street, NW (10th & G Streets). Call (202) 347-2713 or visit www.saintpatrickdc.org/bluemass.shtml. Saturday, May 11: 13th Annual National Police Week 5k — 9-11 a.m. 601 4th Street, NW, adjacent to National Law Enforcement Officers Memorial. www.nationalpoliceweek5k.com to register or join the Virtual NPW5K team. NLEOMF Cadet Ceremony — 11 a.m. National Law Enforcement Officers Memorial. Rich Heins has spent his career helping fellow law enforcement officers, from serving as President of his local Union board to Executive Board President of MAP. So, when a duty injury pushed him into retirement, Heins decided to put his skills to work as a full-time MAP Labor Relations Specialist. The injury was so severe, the 53-year-old had to take a year off police work while he went through several surgeries and physical therapy. He came back on light duty to train more K9s for 16 weeks in 2018 before doctors recommended he undergo another surgery in early 2019. 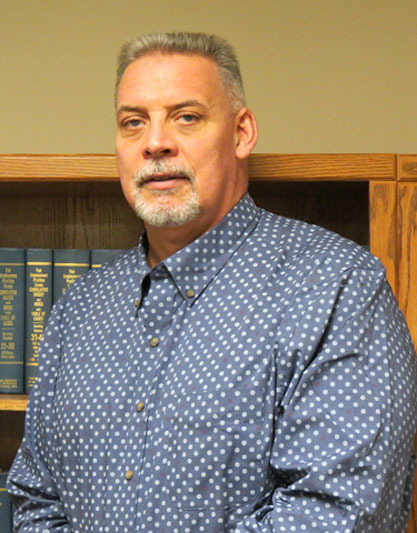 Heins decided to retire from police work in mid-March and began working as a Labor Relations Specialist. Heins worked with two other police K9s during his career – Morgan and then Chase. Chase was retired in November 2018 after serving the department 10 years and currently lives with Heins. Heins thanked Sterling Heights City Councilwoman Deanna Koski for helping make the Police Department’s K-9 program possible nearly 25 years ago. “I believe my career went the way it went because of Councilwoman Koski and being able to establish this K-9 unit,” he said in a C&G Newspaper article. Gov. Gretchen Whitmer’s budget calls for increasing the gas tax by 45 cents under a three-part phase-in starting Oct. 1 of this year and ending Oct.1, 2020 that would raise about $2.5 billion in new annual revenue for roads. This would be deposited into a new Fixing Michigan Roads Fund and allocated to the most highly traveled and commercially important roads at both the state and local levels. Gov. Whitmer is also asking for an additional $507 million to increase K-12 funding in her Fiscal Year (FY) 2020 budget including up to $180 more per pupil. Revenue sharing will increase 3 percent for counties, cities, villages and townships. Whitmer has called for eliminating the so-called “pension tax” and proposed paying for it by taxing “pass-through” businesses at the same 6 percent rate as the existing Corporate Income Tax. Budget recommendations also include funding for a new trooper recruit school with the anticipation of graduating 50 new troopers to keep the Michigan State Police enlisted strength at about 2,100. For more information on the Governor's Fiscal Year 2020 budget, please click here for the March 2019 Karoub Report and also visit Gov. Gretchen Whitmer's website. Good luck 2019 Carl Parsell Scholarship applicants! Thank you for your submissions. Applications are no longer being accepted for the 2019-20 school year. In March and April, the Scholarship Selection Committee begins the selection process which is completed in May. Scholarship recipients will be notified of their status on or before June 1, 2019. Carl Parsell Scholarship winners will be formally recognized during the 29th Annual Carl Parsell Memorial Golf Outing on June 13, 2019. Carl Parsell Scholarships may be used to cover a portion of educational expenses, including tuition, living expenses, and other required fees during the 2019-20 school year. Scholars may use the award to attend any United States accredited university, college, community college, junior college, two- or four-year accredited degree-granting institution, or vocational training institution that grants a certification or license. Scholarship candidates must have completed a high school education or its equivalent, on or prior to June 30, 2019. Funds derived from The Carl Parsell Memorial Scholarship Golf Outing determine the number of scholarships to be awarded annually. The maximum award available per student is $2,500. In July and August, The Carl Parsell Scholarship Fund mails Scholarship checks to each Scholar’s college or university. Local Executive Board Members and Local Stewards are invited to attend a series of free monthly Grievance Seminars on Fridays at the MAP Office. The Seminars, conducted by MAP Executive Director Fred Timpner, will provide valuable information about key grievance issues. Seminars scheduled Jan. 25 and March 29, 2019 will focus on Contract Interpretation. Discipline will be the topic at seminars scheduled on Feb. 22 and April 26, 2019. All Seminars begin at 10 a.m. and lunch will be served. Details can be found on the website Calendar. The Michigan Legislature has rejected a Governor-issued executive order for the first time in 42 years.The Republican-led Legislature passed HCR 1, rejecting Gov. Gretchen Whitmer’s Executive Order 2019-2, which would have reorganized the Department of Environmental Quality and abolished three oversight panels created by the Legislature. Attorney General Dana Nessel continues her efforts to withdraw the state from federal cases. In recent weeks, she has withdrawn the state from more than a dozen federal cases. The latest are four cases involving civil rights and two involving transparency. After Gov. Whitmer’s call in the State of the State address for “hands free” legislation, Representative Mari Manoogian (D-Birmingham) has introduced HB 4181 to prohibit drivers from using a mobile electronic device while driving unless it is in a “voice-operated or hands-free mode” and the driver doesn’t have to use his or her hands to operate it. Making 9-1-1 calls are exempted. The sale of a former state prison in Ionia for construction of a $35 million private immigration detention center has been scrapped by the governor. A judge has denied an agreement reached between Secretary of State Jocelyn Benson and the League of Women Voters. The League of Women Voters brought a lawsuit against the Secretary of State prior to Secretary Benson’s Administration over the Republican-drawn redistricted maps after the most recent census. Writing on behalf of the three-judge panel, U.S. District Judge Eric Clay said Secretary Benson “lacks the authority to enter into the proposed consent decree” which would have seen 11 of Michigan’s 110 House districts redrawn for the 2020 election. Click here for the February 2019 Karoub Report for more details on these and other legislative issues. Photos by Jennifer Gomori, MAP Editor Stuart Raider talks to MAP members about retirement planning. While it’s true our experiences in life impact our financial decisions, having a plan for retirement isn’t something anyone should go without. That’s the message Stuart Raider and Peter Mendler recently shared with MAP members. The Raider Dennis Agency President and Vice President encourage all members to come in for a free financial analysis and thorough retirement plan, so they are ready when it’s time to retire. 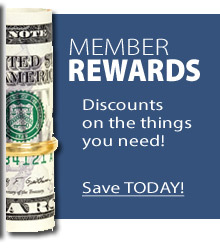 “This is something that is available to all MAP, MAPE and MAFF members that are dues paying,” Mendler said. Raider’s father, Jordan, was only 7-years-old when his own dad passed away unexpectedly. “He learned about financial and emotional hardship,” Raider said. Those hardships inspired Jordan to build a successful financial planning business, thus inspiring Stuart to follow in his footsteps with the business and get a college education at Michigan State University. 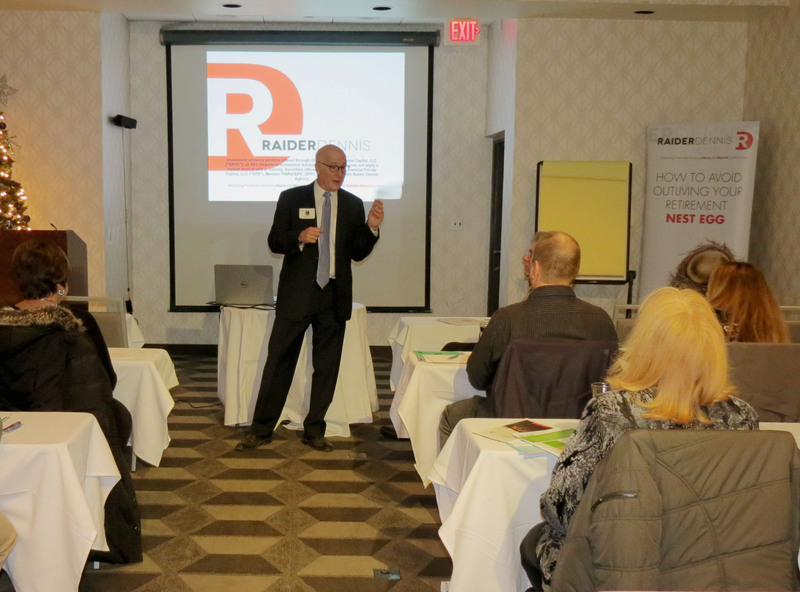 “It taught me a lesson about responsibility for my clients,” Raider said. Trenton Police Officers used a new device to rescue a man who fell through the ice on a canal at Elizabeth Park Feb. 3. The man’s dog ran out on the ice and the owner chased him. While the dog made it off the ice, the man fell through and police found him clinging to a piece of ice. Trenton Police used a newly acquired water rescue throw bag to rescue the man. The department purchased these devices following a December 2018 police water rescue. An officer in that incident boarded a nearby kayak when a car drove into the Detroit River and the driver was completely submerged. The Trenton Officer was able to break the car window with the kayak paddle, free the female driver and pull her to safety, said Trenton Police Lt. Mike Hawkins, MAP Executive Board President. Trenton Police now keep the throw bags inside their vehicles. “Within the first week or two of getting these in we’ve already saved a life and it’s come in handy and saved our officers and helped out the community,” Hawkins said in a Fox 2 News interview. Gov. Gretchen Whitmer said she will put forth “a real plan” to fix Michigan’s roads and other infrastructure in her March budget presentation, but when questioned by reporters gave no indication of how she would propose paying for the plan. The Senate and House have set their top legislative priorities. The Senate’s first bill of the 100th Legislature is Senate Bill 1 to address the state’s nation-leading auto insurance rates. The measure includes reform of health insurance and personal injury protection benefits. Senate Democrats are calling for tax credits such as establishing a child care credit for working families with young children and creating a tax credit claw back that would make businesses that leave Michigan pay back incentive dollars they were awarded to come to or stay in Michigan. The Republican House is focusing on Civil Asset Forfeiture Reform to require a criminal conviction before law enforcement agencies could sell or use the property seized based on probable cause. Gambling expansion legislation will quickly be reintroduced this session, according to Representative Brandt Iden (R-Oshtemo Twp.) and Senator Curtis Hertel, Jr. (D-East Lansing). The legislation, which would allow online gaming and horse race betting by cellphone as well as fantasy sports gambling and new charitable gaming regulations, fell victim to former Governor Rick Snyder’s veto pen. Attorney General Dana Nessel has picked Fadwa Hammoud as Solicitor General and tapped her to oversee the Attorney General’s criminal prosecutions in the Flint water crisis. For more on these and other legislative topics, click here for the Jan. 23, 2019 Karoub Report. Mike Hawkins has spent most of his career as a MAP member and representative, so it seemed a natural fit to take over as the new MAP Executive Board President when former President Rich Heins announced his retirement in December. A Trenton Police Lieutenant and member of Trenton Inspectors and Lieutenants Association, Hawkins began his law enforcement career at Gibraltar Police in 2000. He joined Trenton Police in 2001, becoming a K9 Officer and serving as local police union President for 10 years. He was voted onto MAP’s Executive Board in 2011, taking over the Treasurer’s position when a co-worker retired. He was later voted Executive Board Vice President.